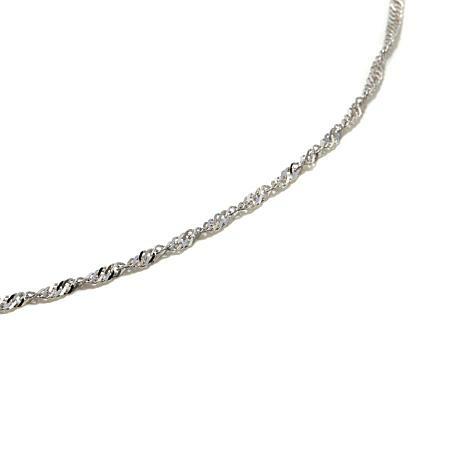 Understated and elegant, this contemporary 10K white gold necklace is just right. Slip it on with an open-neck blouse, your favorite LBD or even a workday mock turtleneck. No matter how you choose to wear it, it'll never disappoint. I received this today, it arrived 2 days earlier than the estimated delivery date-a plus! 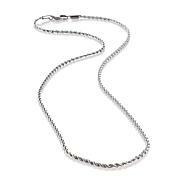 For me the chain is perfect as far as strength & wear-ability. The chain is 1.35 mm so for all my pendants that have bails that are smaller than 2 mm here is the chain. It has plenty of sparkle power! My only regret is that I only bought 1-16" chain...I want to get a second chain but the next size larger if they are still available! I love Michael Anthony Jewelry & highly recommend his line of jewelry! Love this necklace! As lots of sparkle and is the 2nd one I have purchased... The first one was a longer length and they look great worn together. I purchased the 18 inch because I was tired of sterling getting tarnished all the time. Wish I had discovered this sooner! This is a beautiful necklace and sparkles like crazy. As soon as I put it on I ordered the 20 inch. It does snag my shoulder length hair a little. Small price to pay for such a great necklace. I haven't taken it off in a week. Looks brand new. Love it ! Thank you! Beautiful shine! Received compliments . Looks expensive. 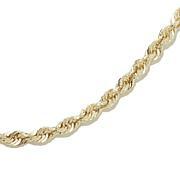 It is a replacement for a similar chain at a great price. You will not be disappointed.